Dining concierge service based in Washington DC, USA. 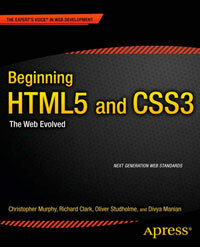 The site is built using the main HTML5 structure elements, and largely using them well. The content wrapper section element should really use a div as it’s for styling purposes only. Good use of the aside element to contain the sidebar on the right. Where images are used, they could be enclosed within a figure element. The review area could have used the section element to contain all the reviews, and then each review contained within an article element. The time element could then also have been used to enclose the posted date.